Yes I know I have to cut the lawn and weed. Yes I know I need to re-do my $100.00 paint job. 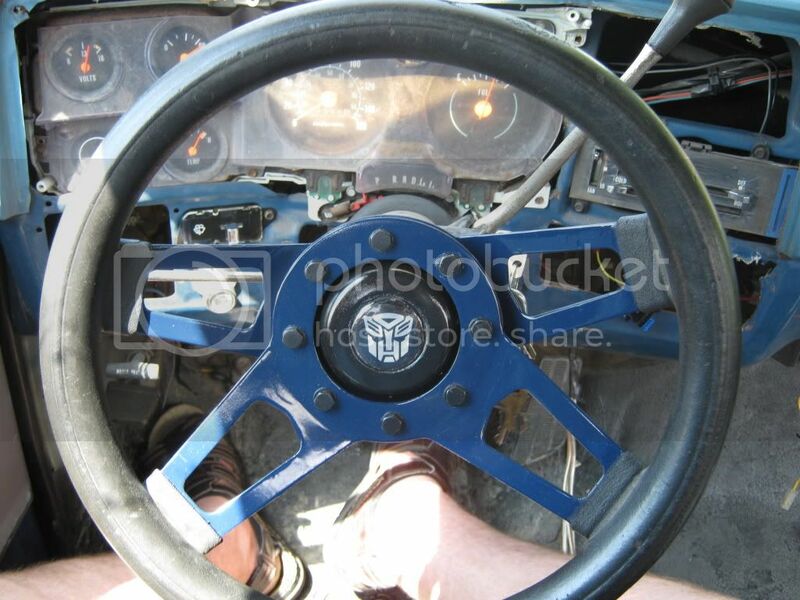 thats the only badge autobot needs on his car. on his steering wheel. lol. nice work bud! when you planning on painting the truck and what color? 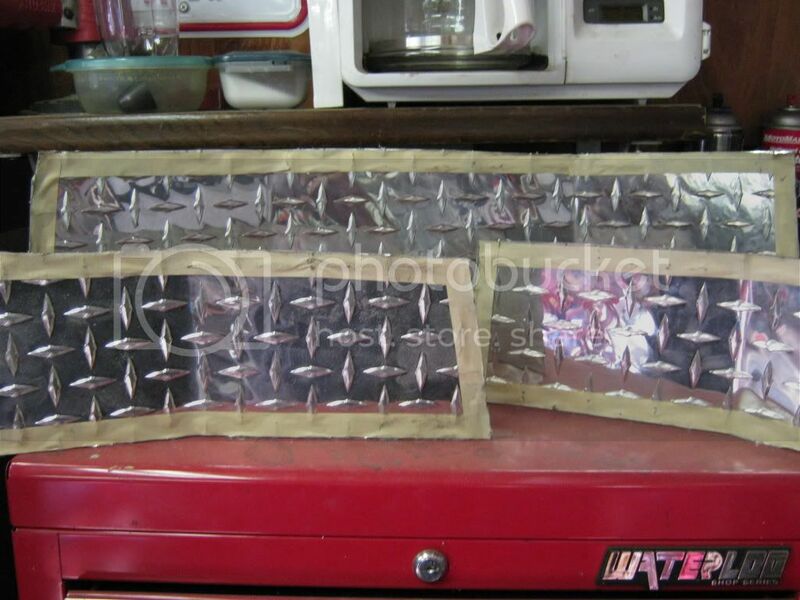 I am probably going to paint it similar to the colour it is now with a black accent strip across the bottom. 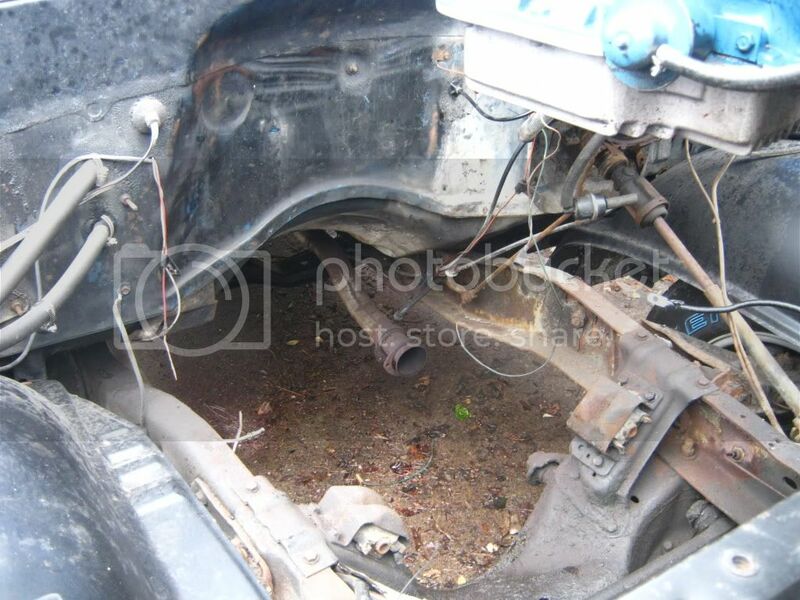 Tomorrow I am going to pick up the new hood and if I get time to clean the engine bay I will get a picture of it. Interested in the new paint coming soon. Engine mods planned? Ncie truck man. thats the type I want. The engine already has an Edelbrock intake, carb, hedman headers to Cherry Bomb turbo mufflers, Accel ignition, with the camshaft for a one ton truck (more torque). The transmission has a stage 2 shift kit in it and a trans cooler that is larger than the Vibe's radiator. 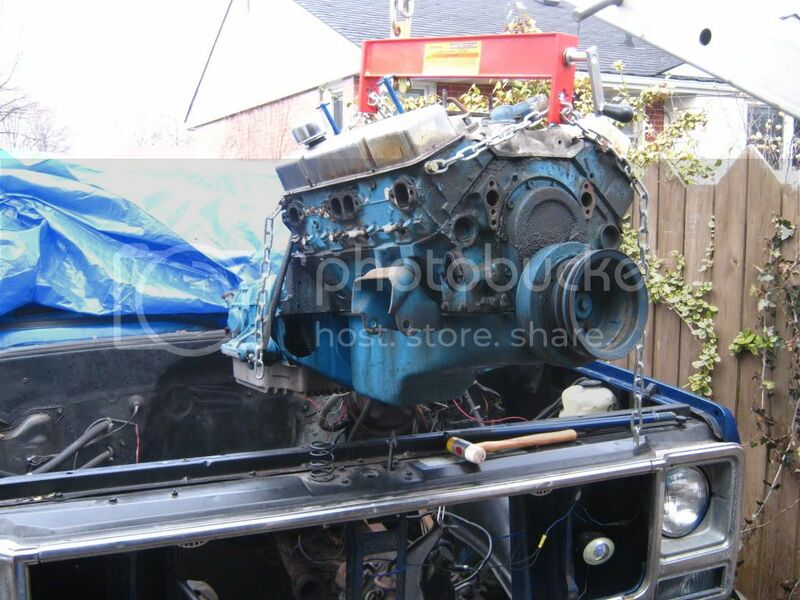 I am thinking about a Com Cams 292 camshaft for it in the future of the motor but I am not sure. 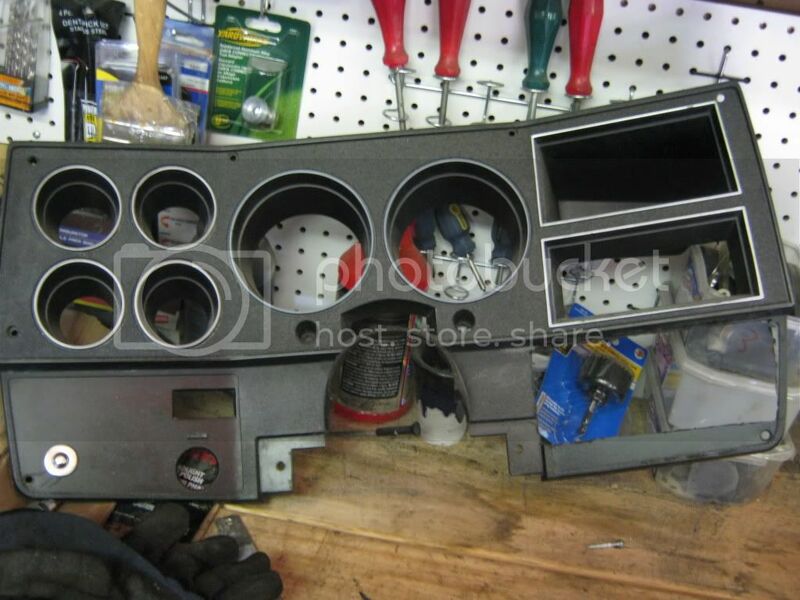 Right now I have parts for it so I want to finish off the interior first then to paint then to more power. Since I cannot break the new tires free. 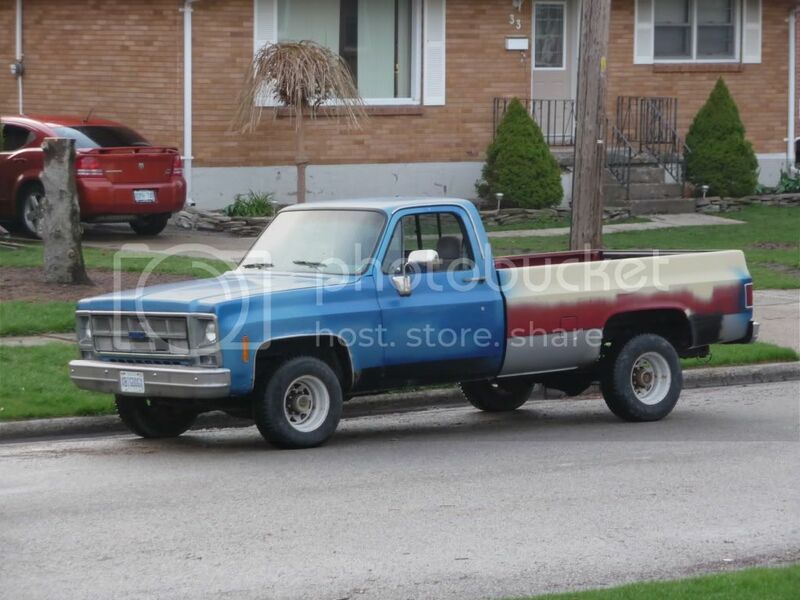 If you guys know of anyone with a set of GMC centre caps that are 8 lug I will take em for the truck. Soooo much potential in that truck, so many ways you go with it. (moster truck, lowrider, hot rod ect) what way are you going with her? I would do the two tone like this. just blue & white or blue and grey. 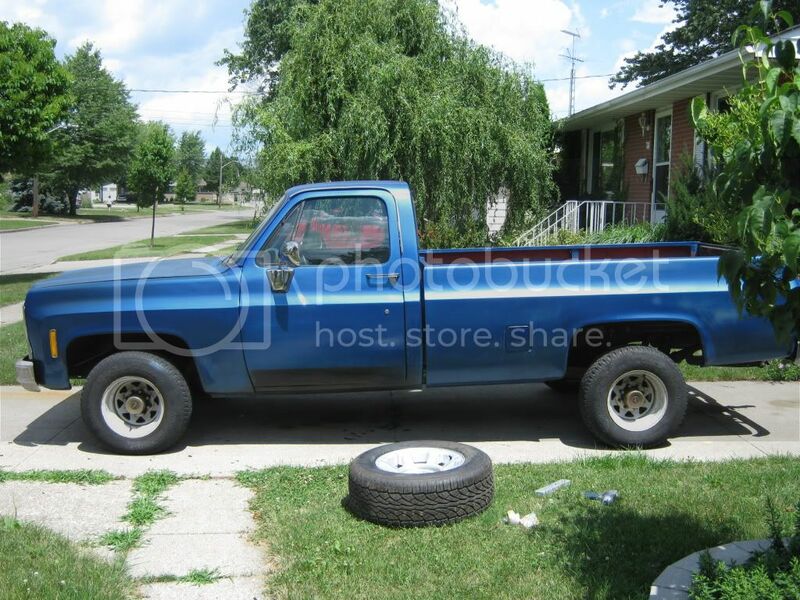 I will most certainly still use it as a truck but I think I want to go lower with it. Probably 2 in front and 4 in the rear. Lowering the rear is easy since the parts are the same as the 1 ton. The front will be tricky since it is a 3/4 ton and its like I bought the re-headed step son of the truck world. The thing that I am really debating right now is potent small block (350 - 400 hp) or big block (375 - 450 hp) I have autocrossed the truck once and it was a blast to be the slowest vehicle there but half the track I was sideways. My utility trailer is the back half of another 73-73 CK truck so me eventual goal will be to have a truck and trailer that match. I am leaning towards big block because of the low rpm's and torque for towing with it. 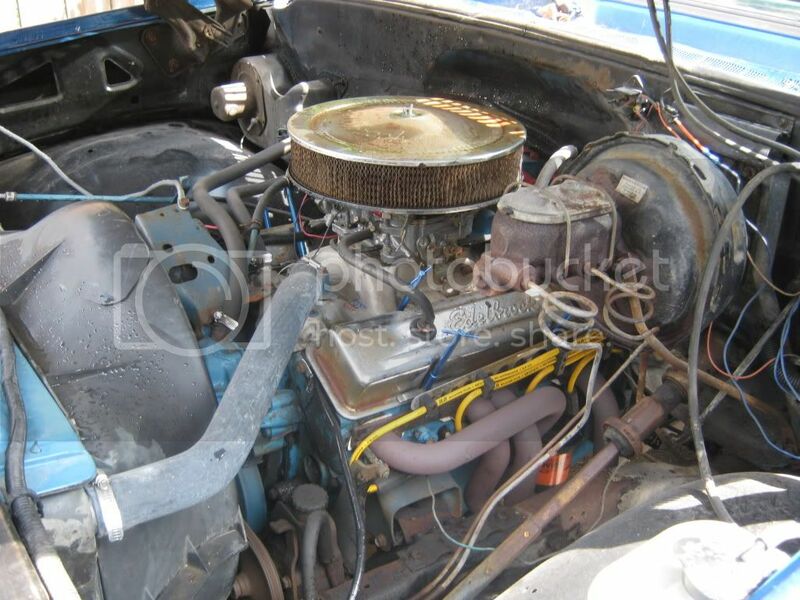 I am thinking either rebuilt 454 or go GM crate 502. Got bored today so I had $50.00 in Canadian Tire money so I decided to make my own gauge cluster. I am just going to use the factory gauges for now but replace them later. I will be cutting holes large enough for the new gauges in the future. that looks interesting. can't wait to see the progress on this. I have not had time to work on the dash but I getting the house done is more prone to keep me in the good books with the CFO. Washed the engine bay in the truck. 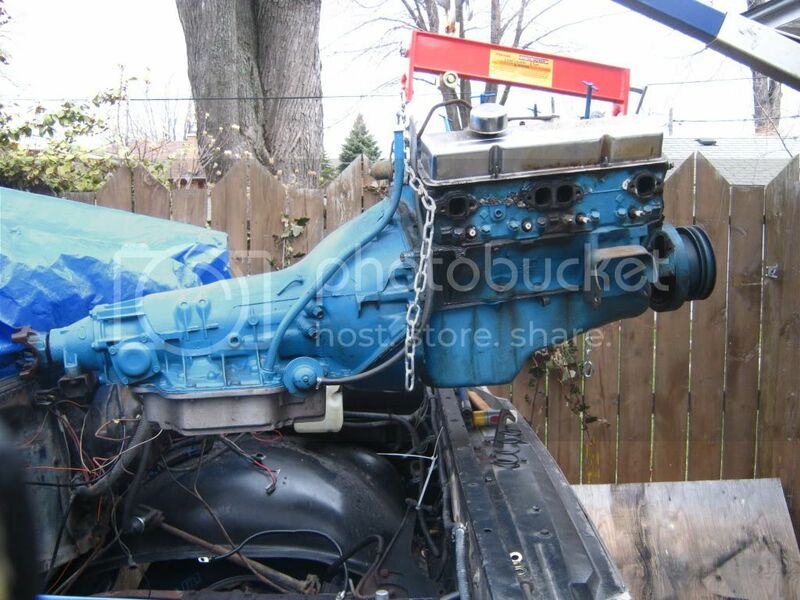 I maybe pulling the engine and trans for the winter to repaint and install a new cam and shift kit. So far I have learned that chrome and Canada do not mix but I do have the aluminum replacements for the valve covers but if I am thinking of pulling the motor this winter then I will hold off. Your turning a Chevy into a GMC........ that will never work!!!!! I have never heard of such crazy talk!!!! No it was always a GMC someone put on some Chevy parts. The motor developed a rear main seal leak and the transmission had an input seal leak from a screw up on my part. So out it comes. New Cam is on the way now I am trying to fugure out what colour to paint the motor. Nice truck! 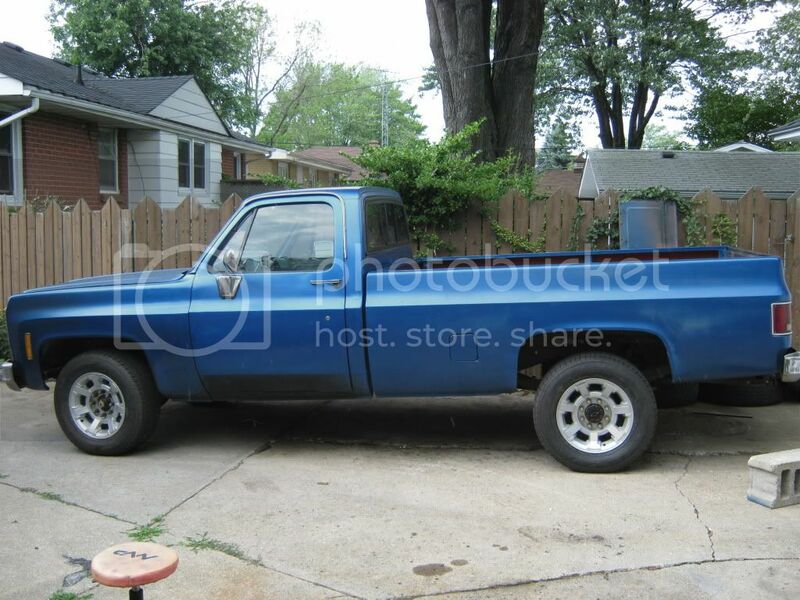 I always wanted a truck when I was younger but I got into these small cars for whatever reason. What are you thinking for colors on the motor? Big hole in your exhaust too. Pro I was thinking of just trying to fill the hole with weld do you think it will hold? 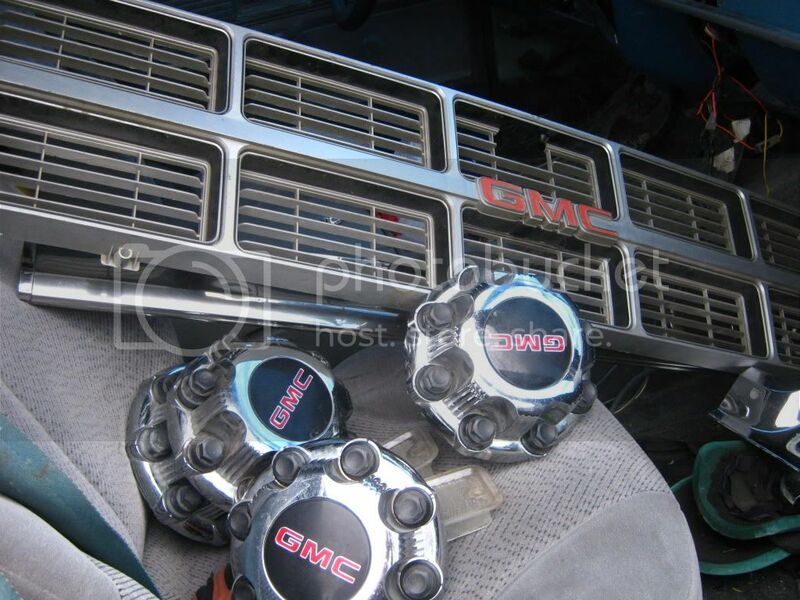 GMC blocks are black I think. this post is win hahaha.